In case you have been living under a rock for the past year or so there is a movie coming out June 14th of this year called Man of Steel. 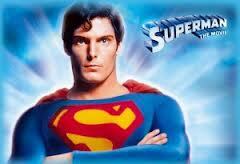 I thought in light of this film I would review the original and now classic Superman starring Christopher Reeve. Superman is the first major motion picture I can recall seeing. I know that I owned it on VHS as a child and wore it out. (If you don’t understand this reference ask someone over 30 what VHS means.) Superman is based very closely on the comic book series created by writer Jerry Siegel and artist Joe Shuster in 1933. In the opening scene we are shown what appears to be a small white planet next to a huge red burning sun. The people that we see are wearing interesting clothes that appear to glow. I instantly think of times in the Bible when people and clothes glow. 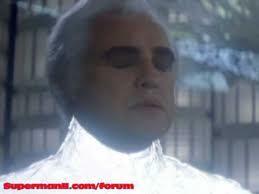 When Moses receives the Ten Commandments and when Jesus is transfigured. We also see a woman carrying a baby in what we know to be the traditional Superman colors of red, blue, and yellow. We see this discussion between the two adults and they are talking about sending this child to Earth. The woman is worried about the baby not fitting in. The man says it will be ok, he will be able to blend in. I know that the man and woman is the father and mother of this baby, but it also puts me in mind of the Holy Trinity. Did a similar conversation happen between the Persons of the Holy Trinity? Was there fear in sending the Son to Earth to live among Their creation? The world is dirty and unsafe. In Heaven it is clean, safe. Definitely speculative, but just one of the many thoughts that cross my mind when watching this movie. Next, the father states that the child will never be alone. God the Father never left God the Son while the Son was on Earth. “Even though you’ve been raised as a human being,you are not one of them. Now of course the theology is not perfect in this statement Christ was one of us while at the same time being completely God, but implying that Kal-El is the light to show the world the way is obviously a comparison with Christ who is the light of the world. 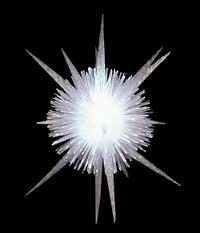 After the death of his Earth father Clark goes off to discover himself in his Fortress of Solitude. This is a bit like Christ spending 40 days in the wilderness before starting his public ministry. Clark emerges from his Fortress and for the first time we see him as Superman. Granted by today’s standards the special effects are not the greatest, but for the time they were created they are amazing. I had no doubt growing up that Superman could really fly. I also went through a stage where I though I could fly! The way in which they filmed his take off’s and landings as well as his in flight shots gave us no reason think he wasn’t flying. 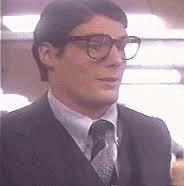 Superman as Clark Kent again becomes a mild-mannered gentleman and sort of a clumsy fool to discuse who he really is. I really connected with aspect of the character. I was a really scrawny kid and often felt that I had no power just like Clark. What I hoped was true for me is that like Clark deep down inside of me was a super man. I knew that I didn’t have super powers, but thought that maybe I did have the power to be a big strong man. Superman fights his long time arch-enemy Lex Luthor. I love the way Luthor is depicted in this film. As the anti-hero he is almost the polar opposite of Superman. He is also the archetype for evil in general. Luthor is not scary in the sense of ugly or monstrous. Luthor is scary in how normal he appears. Luthor is not as smart as he thinks because his greed and selfishness always gets in his way. In much the same way it can for us. Evil is more of the selfishness and pride and envy than it is terror, fear, and horned monsters. Superman stands for truth, justice, and the American way. When he fights a bad guy he only uses enough force to take the person into custody. He could easily snap any bad guy like a twig, but only uses violence as a last resort. He also always hands the suspects over to the police or the proper authorities. While he does stand for justice, he does not take this justice into his own hands, which is true justice. For us vengeance is the Lord’s. Superman, although appearing to have every right to destroy his enemies, allows for the criminal justice system to work. Superman stands for truth. Jesus is the truth, the way and the life. We too are called to be absolutely honest in everything we do. “The American Way” could be talked about in length on what it means then and now. I think it is our way of life, our freedom, the “American Dream”, apple pie, Fourth of July, Uncle Sam, and whatever else you think of when you think of this great country. I definitely think that everyone should watch or re-watch Superman before going to check out Man of Steel. I don’t think it will be fair to compare Superman to Man Steel on the level of special effects. Just from the trailers I’ve seen the effects in Man of Steel blow Superman out of the water. What can be compared is the mythology of Superman and how two different people tell the story of Superman. ← Where is the originality going?